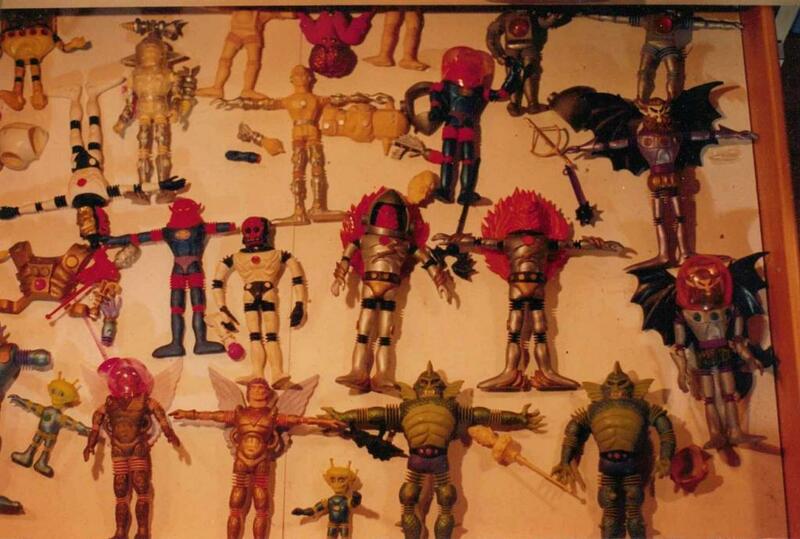 In 1988 me and my brother acquired all of the 1st series aliens. I then aggressively tried to locate the 2nd series, which I only knew existed because they were photographed for the puzzles and the adventure set. I wrote to many toy dealers and no one had them. 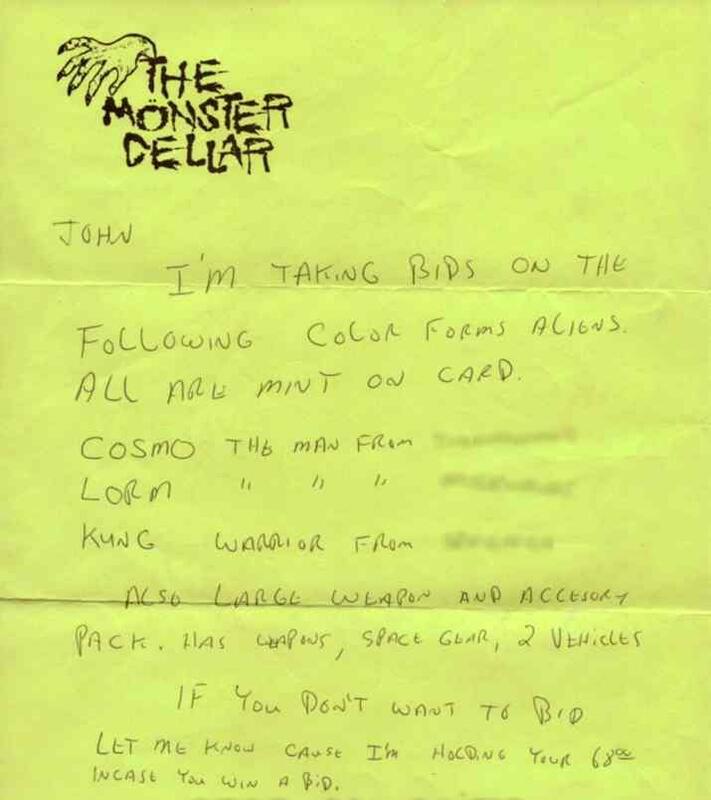 In 1989 a fairly high profile dealer that advertised in Toy Shop (who I had purchased from before), sent me the following letter. I was extremely excited to say the least. Regardless of that, the bidding on these went beyond my ability to afford and I lost the items. Years later when I made contact with Mel Birnkrant I found out that the names given are not the correct names. Regardless of that, when I talked to the guy at the Monster Cellar on the phone he described the aliens to me and said the cards had the year 1970 on the backs (which is what the real 2nd series cards state). 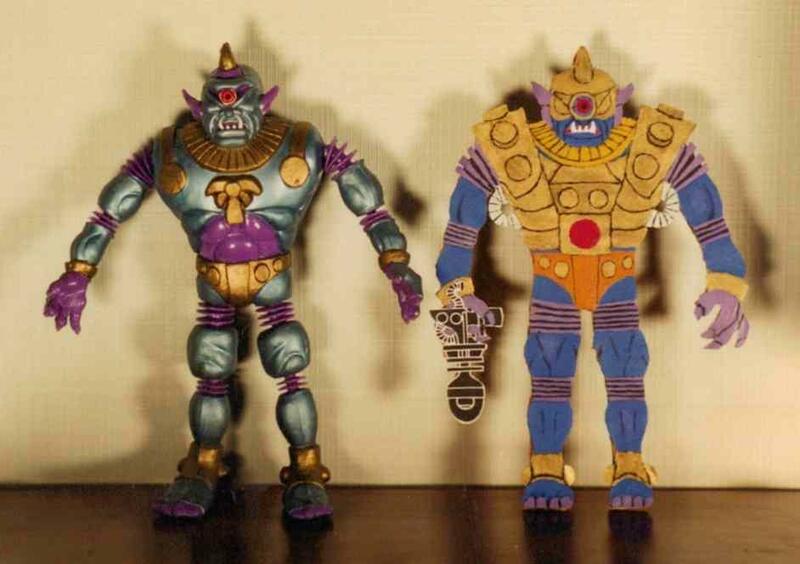 According to the seller, Kung was the big blue cyclops, Lorm was the 2 headed one, and Cosmo was a white alien (which I took to be Metamorpho). After I lost the auctions I asked the seller for photos which he said he would take but he never did. 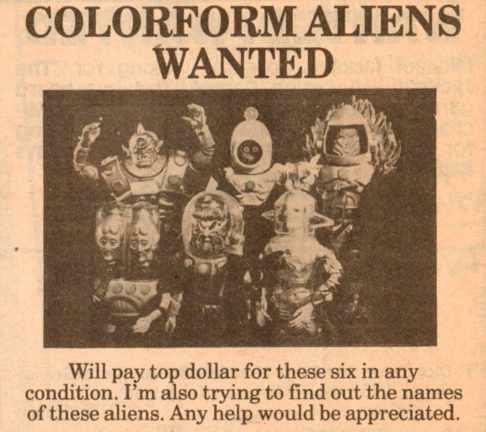 These aliens have never surfaced in the 24 years since. I will pay $50 a photo for these aliens on the card if anyone has them. I blurred out the punch line of where each alien was from to protect myself from anyone trying to claim they have these when they don't (in other words, if someone really has them they will know what that last word says). Obviously some people think that the seller was lying but he never tried to rip me off, so he definitely wasn't a scam artist. I hold out hope that the seller really had these items and that they exist somewhere. 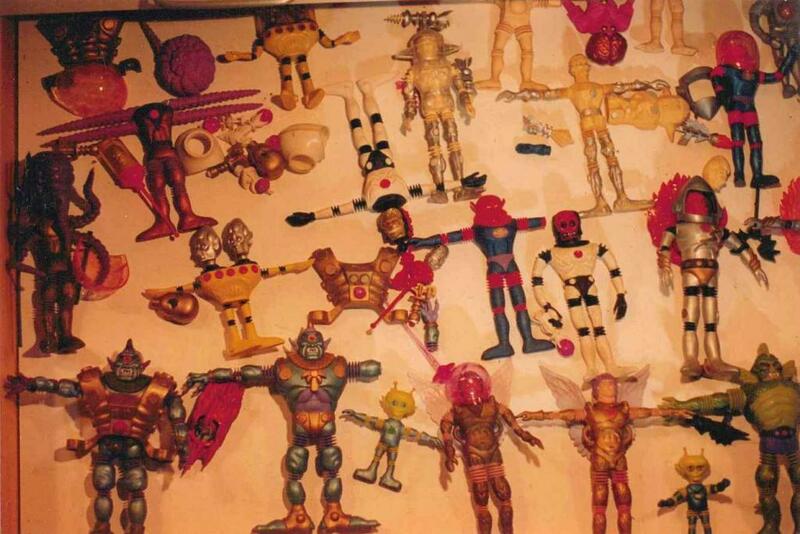 My theory is that the factory in the orient that Colorforms shipped the prototypes to to manufacture, made up different names and printed some of these aliens up to sell mainly in the orient, and they were so rare that very few ever made it to the United States. In 1999 a set of 4 loose second series aliens surfaced on ebay (Cyclops, Gamma X, Gemini and Mystron), and the seller had a 5th alien- a headless Inferno which was not a part of the auction. The origin of where these aliens came from was never discovered. I think that they could have been extremely rare oriental knock offs. An ad I placed in Toy Shop in 1990. The adventure set I used was purchased at The Monster Cellar (above). I masked out the 1st series aliens with black construction paper. 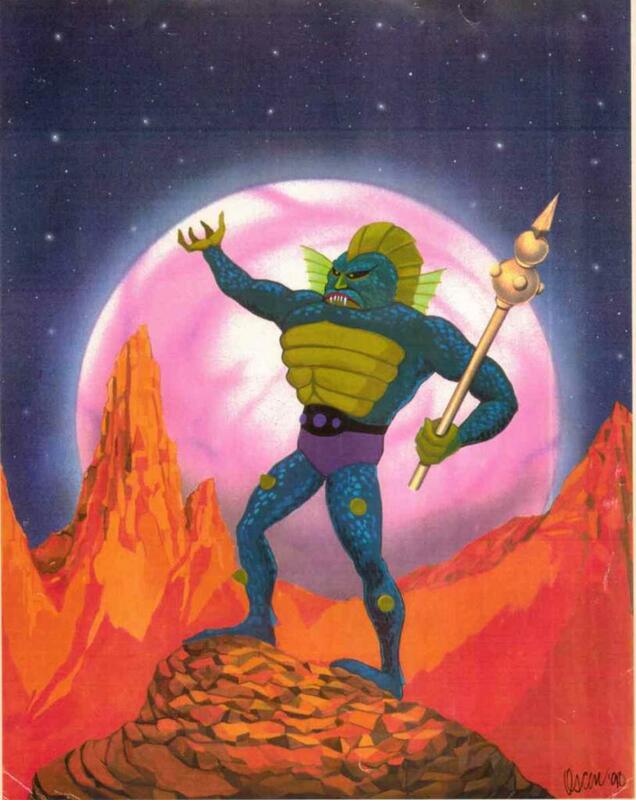 This is a print of a spectacular painting a friend and trading partner of mine named Oscar did in 1990 of Colossus Rex. Oscar's last name is too common for me to locate him now. If you see this Oscar, email me. I'd love to hear from you! Below are 3 different versions of Commander Comet. 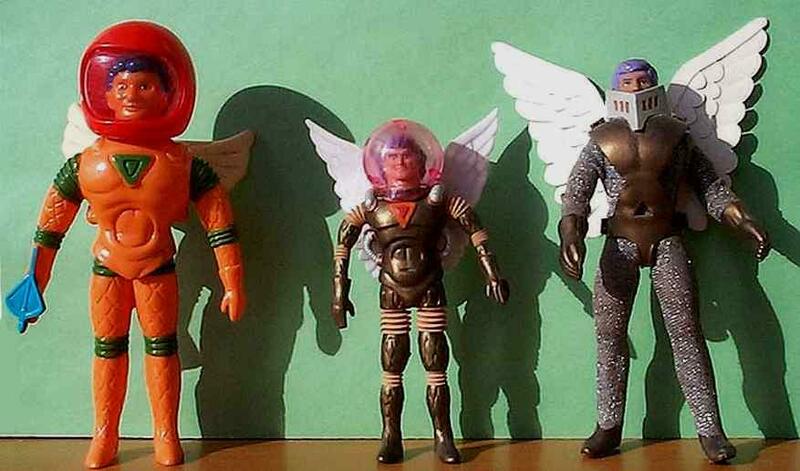 The Bullmark version, the Colorforms version, and a custom made Mego version. Here is a paper doll style cut out of Cyclops compared to the actual figure. Below we have very special photos sent to me and my brother in 1990 by Mel Birnkrant of his drawer. Special thanks to Mel for allowing me to post them here.